Most of us think of bowling as a 'sport' in quotation marks, and bowling alleys are places with disco balls, matching shirts, and funny shoes. But in the 1960s, New York City was the center of 'action bowling,' a form of high-stakes gambling in which bowlers - often teenagers - faced off for thousands of dollars every night. When money like that is changing hands, you can bet the pressure is on (and the balls are rigged), and losses come with dire consequences. 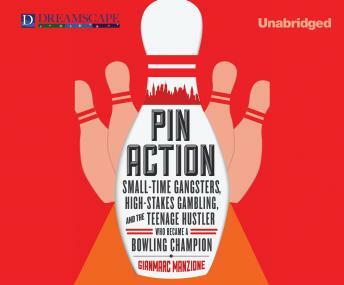 But for a few kids, the world of action bowling would turn out to be a ticket off the mean streets and onto the Professional Bowlers Association Tour. For Ernie Schlegel, it would be a chance to shed his hustler ways and become a bona fide champion.